Although the first electric bike was invented back in the 1890s, but they struggled to gain momentum in popularity and adoption. But in recent years, as our roads are becoming increasingly crowded with automobiles, more cities have made biking around town safer and more accessible to residents. So, the biking industry has boomed substantially with which electric bikes have also enjoyed a massive rise in popularity. According to data published by Forbes, the number of bicycle commuters increased 40 percent from 2000 to 2010 across the United States and in some cities these numbers are as high as 77 percent. For commuters electric bikes are ideal you feel you’ve done exercise and the pedal assist means you won’t arrive at work in a hot and sweaty state. The power boost is ideal for a speedy getaway at a traffic light with lorries and buses right behind you. And with all things aside you’ll get a nice ego boost every time you effortlessly ride past a struggling regular cyclist. However, e-bikes are often a steep initial economic investment. But when you consider it alongside automobiles with the annual costs of fueling, insuring, and maintaining bills the electric bike literally pays for itself over time. But the real question is affordability the price tag! For sure electric bike doesn’t come cheap, so it’s a headache to find one for less than $1000 with excellent build quality and performance. But don’t you get worried, here we are doing the hard work for you, we took a few electric bikes out to review in Berkeley, California to find the best cheap electric bike for you. 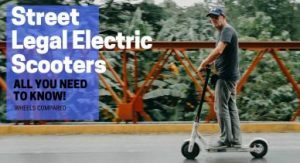 So without any due here are the best electric bikes under $1000 in the market to save you some on the green. Ancheer Power Plus is the first e-bike under $1000 that I rode, so I feel well enough to comment on its suitability as a beginner’s electric bike. It’s one of the most affordable options in our list and if your expectations are realistic for an affordable entry-level bike, then surely Ancheer is our top recommendation for you. You’ll be impressed with what you are getting for the price. The electric bike comes in a striking all black color scheme with a sort of minimalist appearance that gives it a sleek aesthetic look. Featuring an Aluminum alloy frame, the frame is lightweight, strong and designed to last, making it easy to maneuver. The frame is coupled with a carbon steel front suspension fork along alloy double walled rims, to offer greater durability and enabling you to go faster with less drag. All of this combines to give you a more nimble feel in terms of handling and taking your riding comfort to the next level. Coming to the electronics, the bike is powered by a 250W high-speed brushless rear hub motor, which will get you to 18mph if you use the throttle only, and with pedaling you can get to 20-22mph. This is pretty good for a budget e-bike. The motor is powered by a removable 36V, 8Ah Ion lithium battery. The battery is neatly hidden with the design and looks like a large water bottle; it’s really accessible to take it on and off the frame, so you can take it off and charge it anywhere you like no need to carry the whole bike around. 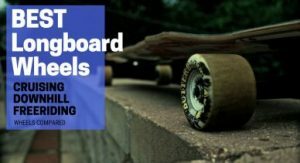 A single charge as advertised by Ancheer is to provide you a range of 15-30 miles, but for us, on average it was more like 25-28 miles per charge which of course greatly depends on how you ride. Another good thing about e-bikes is that there’s no limit on how far you can go, so in any case, if the battery dies, you can pedal them just like traditional bikes. Ancheer Power Plus also features two working modes you can choose the electric assist power according to your needs or you can choose throttle to add a burst of speed (ideal for pulling away from traffic lights). In addition, it also comes with front and rear mechanical disc brakes and Shimano 21-speed gear shift system. On the downside, I ordered Ancheer Power Plus without expert assembly. So it was a hell of a job to put the bike together, the user manual (assembling instructions) were unclear. So, I would highly recommend you to opt for the full-assembly option. The fee is small, and you’ll get a full road-ready bike. Other than that value for money is just through the roof and it’s our top recommendation if you are looking for a budget-friendly bike for your daily commutes or taking a spin through the mountains. Cyclamatic hasn’t been in the industry for much, but now when thinking about high-quality electric bikes, people will instantly relate them to the Cyclamatic. The reason why it continues to be one of the top brands in e-bikes industry is due to its constant dedication towards excellence. 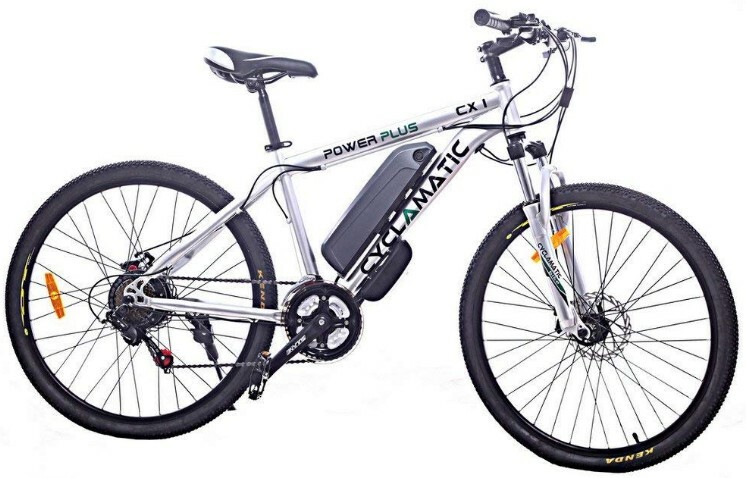 The original Power Plus model was one of the most popular ones in the Cyclamatic lineup, introducing the joy and practicalities of e-bikes to a huge audience around the world. The CX1 builds on that success with 19″ steel frame and 26″ wheels. The frame is solid and durable enough to take all the beating and being entirely built from steel there have been precautions taken to keep the weight as low as possible by weighing just under 47 lb (21 kg). Other than that it really stands out with its elegant design and gives you the feels of a premium bike with glossy silver finish and sleek lines of the frame. Everything on Cyclamatic Power Plus CX1 is designed for efficiency and comfort. So riding CX1 is pretty easy and fun. You can switch between pedal assist and manual mode. 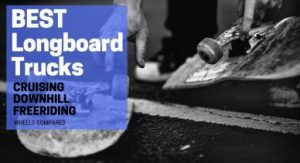 As soon as you start paddling a 250W brushless motor kicks in, making you travel faster, easier and with much more fun than a standard bike. The motor is powered by a removable 36V 8.8AH lithium ion battery. The battery is fully sealed so that it will withstand all types of weather conditions. Coming to the performance of CX1 it really delivers what it advertises. For us, a full charge of 4-5 hours gave us a range of 28 miles on average depending upon the mode (low – medium – high) you are in and a top speed of 15 mph. In addition, CX1 comes equipped with a fitted padded saddle, front fork suspension, 26” Kenda tyres, and 21-speed Shimano gears shift system for a smooth, comfortable ride. The only thing that lacks in Cyclamatic Power Plus CX1 is that there’s no throttle mode. So it only has one working mode which is pedal assist which means whatever you do, you have to pedal. Other than that it’s a perfect upgrade form your regular biking experience and very suitable for those who want something that is agile, maneuverable and which won’t feel heavy on your pockets. If you ever tried to ride a mountain bike but found it hard to handle? If you are a person who just can’t get along with hefty bikes that most of the electric bikes are. Then Nakto Cargo/City Electric Bicycle is for you. Primarily designed for women, its lightweight and low-profile bike perfect for anyone who wants an easier bike to control or a bike which is just there for you to hop right onto. 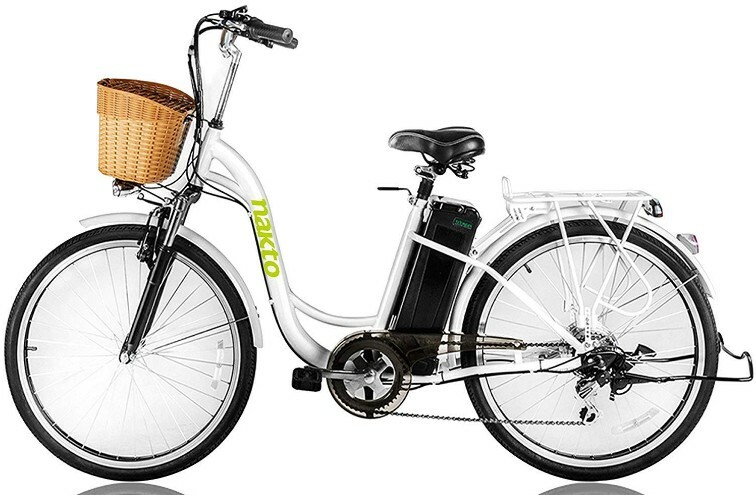 Nakto electric bike is made from High-strength carbon steel frame which makes it lightweight, agile and maneuverable. The frame is coupled with High-strength Carbon Steel front fork suspension which is packed with premium comfort shock absorption. 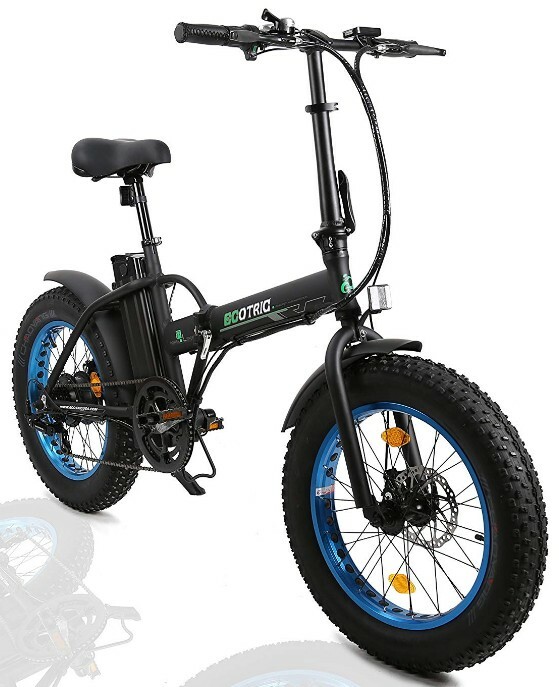 Nakto Electric Bicycle is powered by a high-speed 250W brushless motor which is more than enough power for any terrain. The bike features two working modes, pedal assist, and throttle. So depending on your weight, if you are moving uphill, you’ll probably need to paddle, but with the electric assistance, it would be much easier. And if you need to use motor only just twist the throttle and you will get your burst of speed just like a scooter. Pretty awesome right! The motor is powered by a 36V, 10AH lithium battery which is removable. With this battery, we get a range of 21-25 miles and the motor delivers a top speed of 16 mph only and 22-25 mph with pedaling which is pretty good for a bike this cheap and budget friendly. In addition to this, the bike features 6 Speed-SHIMANO Transmission System with front V Brake and rear expansion brake. On the downside we couldn’t find much for the cons section, other than that for some the battery might not look so appealing as it’s more visible and a bit bigger. But those who are looking for an urban commuting e-bike; this is just perfect; it is fast, comfortable and convenient. The bike comes equipped with all premium features for riding around town, such as strong bright LED headlight, a cargo basket with a rear cargo rack and a kickstand making it optimum to go to the grocery store, to work, or just a leisure ride. Merax really gives you the feel of a typical electric mountain bike with all black color scheme and sleek lines of the frame, giving you a sort of minimalist appearance to please your aesthetic needs. Merax is one of the cheapest mountain e-bikes, but that’s not it! It’s also one of the most powerful electric mountain bikes on our list. Merax comes equipped with a brushless 350W rear hub motor. The motor is best in its class and gives you the performance of a more expensive e-bike and is capable of going at a speed of 20 mph (32 kmh), which is pretty insane for a budget e-bike. The powerful motor is powered by a removable 36V 8.8Ah Li-ion battery. The battery is conveniently placed for easy access and charging, and also securely locked by a key. Coming to the range Merax didn’t let us down, a full charge 5-6 hours gave us a range of 22-28 miles. 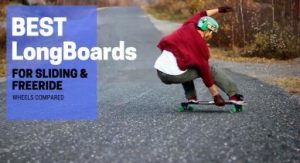 Again it depends upon how you are riding and the terrain you are riding. 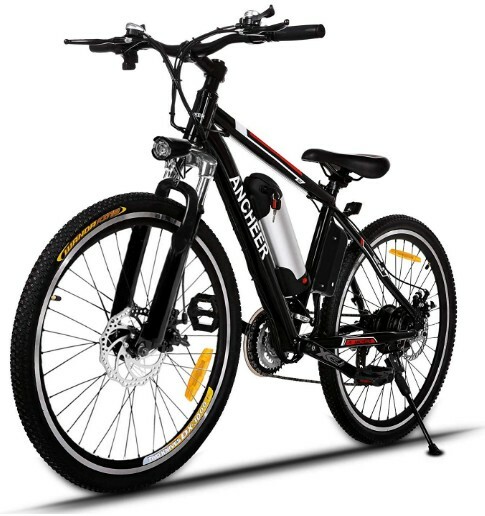 Merax just like other e-bikes on our list comes with two working modes pedal assist or throttle only. There are five different PAS (Pedal Assist System) levels; Level 5 brings you the maximum power while pedaling which makes it ideal for moving uphill with ease. CST Anti-slip wear resistance 26″ tires to help with traction on any off-road sections you might attempt with double wall alloy rims. Again if you aren’t familiar with assembling bikes, then this process can be a little headache, so I’ll suggest you opt for FREE Professional Bike Assembly which means Amazon will ship your bike to a local store and you can pick your fully assembled bike from the store or a technician will come to your home. Seems great right! Anyways unlike Ancheer, the Merax user manual is much more precise and clear, so if in any case, the free assembly option isn’t available you can still assemble it yourself. There are many videos on YouTube, or you can hit me up if need any help. Other than that Merax is a sturdy, basic entry-level electric mountain bike for someone who wants nothing more than a couple of wheels capable of rolling over rough ground for a budget price. If you are searching for an e-bike that you can stow inside your trunks, subways, closets, or any compact space, then SwagCycle EB-5 is the best option for you. Swagtron EB-5 features a triple-fold design that allows extreme portability. Unlike most hefty adult e-bikes, the EB-5 electric bike is extremely lightweight (37 lbs / 16.8 kg), so whether you are living in a third story apartment or running on a tight schedule, the SwagCycle can fit perfectly in. The good part is, it’s one of the most practical and the cheapest electric bike in the market, with just under $500. Insane Right! SwagCycle is extremely lightweight and durable as it is made from high-quality Aluminum Alloy. The bike features a 250W rear hub motor powered by a 36V Lithium-Ion Battery. The high-spec rechargeable Li-ion battery is removable because of the compact size of the e-bike. A full charge of 4-5 hours provides approximately 15 miles on just power alone or, for even more distance, start pedaling. In addition to this EB-5 features two working modes; either twist the throttle and speed just over 15 mph / 24 kmh, or you can use the motor with peddle assist as you pedal to run your morning errands. 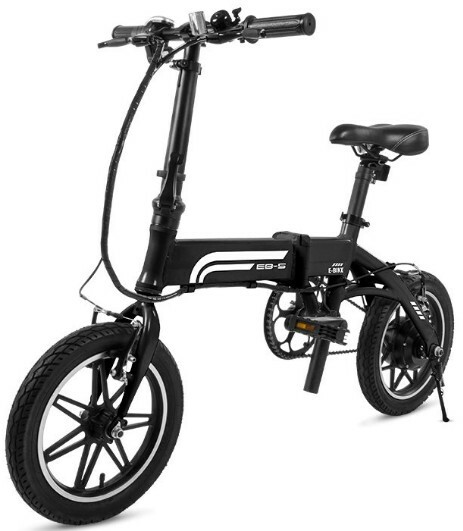 Coming to the riding experience, you must be wondering how it is to ride a mini compact e-bike? The bike is surprisingly comfortable to ride. Both the bike seat and handlebars are adjustable, so you can adjust it in any way you like it. The handlebars can be adjusted in a couple of ways from up and down to 360-degrees in a twist which allows wrists to rest whilst riding. So I’ve found it comfortable enough for riding and traveling. I would place Swag Cycle EB-5 as a campus commuter; the bike is small enough to fit into any place and powerful enough to get me from place to place. There are some limitations for the rider’s, so anyone who is more than 5’11 should not even consider buying this bike; as it also comes with a weight limit of 264 lbs. Other than that it’s absolutely one of the best bargains on the market if you are considering buying it. 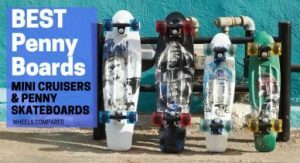 What can you get for under $500? The Ecotric 20″ fat tire folding e-bike is a massive step up from the Swagtron Swag Cycle with almost double the price. So, is it twice as good? For a start, it’s a bit bulkier than the Swagtron folding e-bike, and the removable battery means you can easily disconnect it to carry to an electrical outlet. It’s on the heavy side of the market as it weighs around 51 pounds (23 kg). However, once you get going, it’s one hell of a ride and much more powerful than the Swagtron EB-5. Reinforced with quality materials and a long-lasting battery, this electric bicycle is known for its powerful motor which is the answer to revamping your everyday commute. The bike is powered by a 500W brushless geared motor with 36V 12Ah Lithium cell batteries in a sealed removable pack. So now you can guess why it costs $300 more than the Swagtron Folding bike. In other words, it’s a compact, powerful beast, which is as practical as it is powerful, perfect for any type of off-roading or urban commuting and with its fat tires you can ride on any type of terrain either it’s the rough mountains or, beach or snow. This spectacular folding electric bike can take you just about anywhere. Twist the throttle and speed just over 20 mph / 32 kmh. The 36V Lithium cell battery packs enough punch to last up to 18-25 miles on just power alone. Being a folding bike it’s a bit heavy and is more suitable for the big boys, wouldn’t recommend it for kids or for women; the better option for them is to go for the Swagtron SwagCycle EB-5. Other than that it’s my top recommendation for someone who would like to go on adventures and for travelers always on the go who want something which is compact and portable. And something that is always there to deliver the power that you need to go for an outing or for a tour across the city and over the mountains. 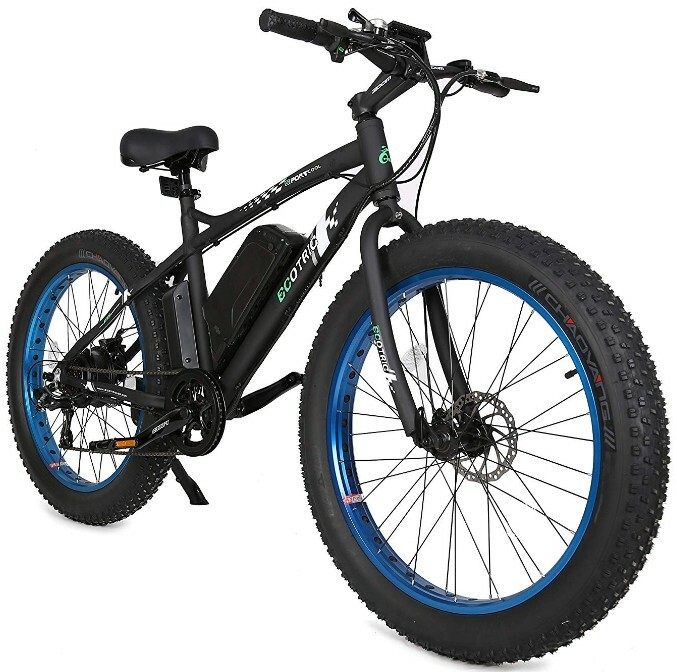 ECOTRIC Fat Tire Electric Bike is the most expensive and the most powerful e-bike in our list. You can get one for around $900. But the real question is it worth buying this one? The answer depends on what you plan on doing with the e-bike and your skill level. If you are planning for an e-bike to go on trails, snow, or even at the beach, then Ecotric is the perfect option for you. The mighty beast runs on 500W rear hub motor which is connected to a 36V/12AH Lithium cell battery. The battery is removable, so you can take it on and off the bike and bring it into your home or office to recharge. 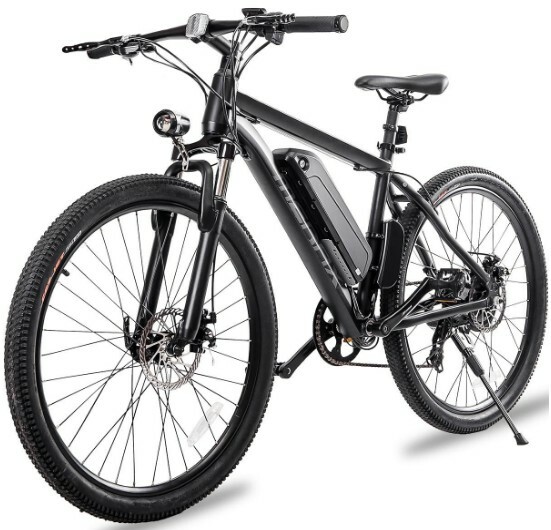 As other e-bikes it also comes in with two working modes, peddle assist and throttle only mode that allows you to ride at a top speed of 23 mph / 37 kmh which makes it the fastest electric bike in our lineup. On a full charge of 5-6 hours, the bike delivers a range of 19-25 miles on average, but it will greatly depend upon how you plan to use the bike. Ecotric versatility is one of its kind with unique fat tires that make the bike suitable for all terrains be it snow, mud or sand. The ergonomic design of the bike makes it very easy to ride, with a lightweight aluminum alloy frame (58 lbs) and ability to support riders up to 260 lbs. The bike doesn’t feature any LED headlight nor any taillight, so it’s really a struggle for you to see the road ahead of you and for someone to see the bike from distant at night. Looking from the point of safety you don’t want someone to hit you from behind at night. So I would highly recommend you to spend extra $10 on headlight and taillight. Apart from this Ecotric Fat Tire Electric bike really lives up to the expectations, with solid build quality and durable aluminum frame the value for money is just through the roof when premium e-bikes range from $2000 to all the way up to $10,000+. 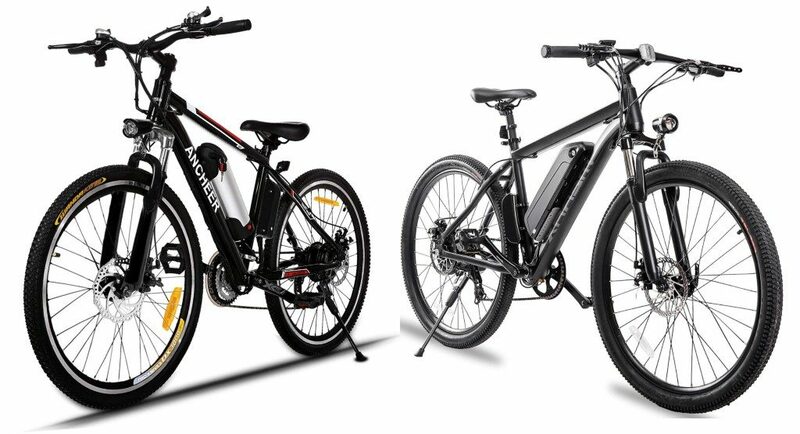 Now it’s really up to you to choose an electric bike which best suits you and meets all your needs and budget. I’ll narrow it down further for you! So choosing the right electric bike comes all down to what kind of riding you want to do, and what features matter the most to you. Are you searching for a bike to commute around town, to and from work? A portable, foldable electric bike may be the right option for you. And if you aren’t into the folding bikes then go for Ancheer Power Plus or the Nakto City Bicycle, it’s available for Men and Women. With so many options out there it’s really difficult to choose one. Hope this guide of seven best electric bikes under 1000 was helpful for you. Also, hit me up in the comments section for any suggestion or let me know which bike you choose!